Inspired by her stay in a riad, a traditional Moroccan house, she came up with an idea to start her own hotel, which grew into a determined plan despite no personal references for the experience to come. 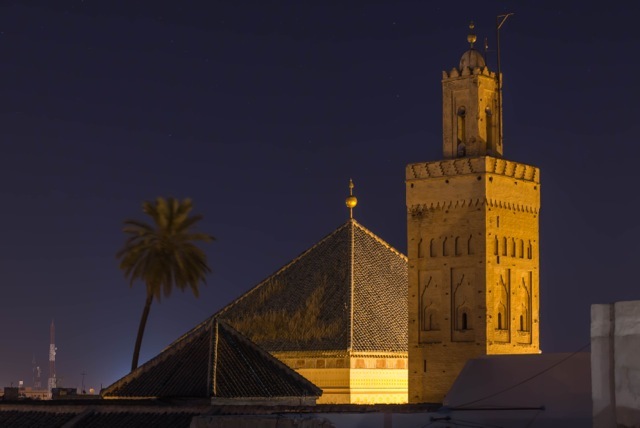 “In anticipation I did read several books by other people who had ventured out and purchased and renovated riads in Morocco, but there are only a few of these books published”, she says. 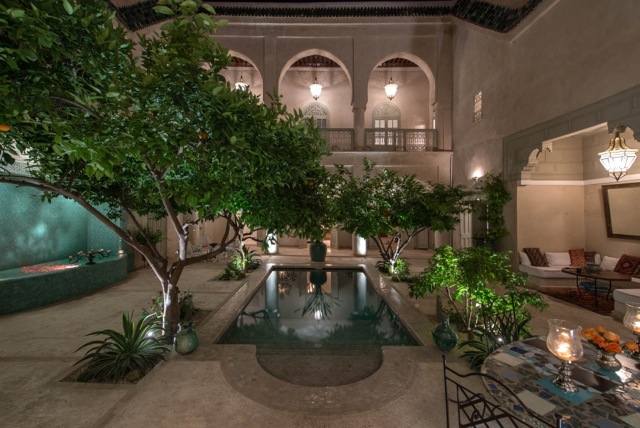 In December 2012, the Victorian Bar barrister moved to Marrakesh to oversee the renovation of a dilapidated 18th century hotel that would become the Riad Emberiza Sahari. But the project quickly became one of the most challenging of her career. Richards says her determination and will to succeed, qualities that she developed throughout her career as a barrister, helped her to overcome these obstacles. “I can also say that closely observing the demeanour of witnesses, opponents and judges, over the years, has helped me in ascertaining the veracity and worth of contractors and professional agents and staff”, she says. Advocacy, negotiation and acting skills (which are honed in court) were also useful for renovating the riad. “Much drama is needed here! Feigning great shock, upset or surprise when the news was invariably bad, but in fact anticipated, became an essential part of the building proceedings,” she says. Richards’ legal expertise also informed her approach to interior decoration. “Once a room or terrace had been completed I would stand back and view the result. I would inevitably make further adjustments before I was satisfied. Similarly in law, once a writing has been produced (whether a pleading, letter or memorandum of advice), it goes through many further drafts." 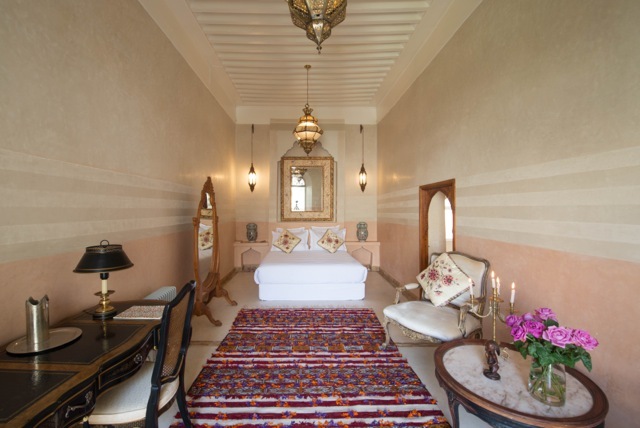 “With the riad interiors, I employed form, beauty and balance, or that which appeals to the aesthetic sense of the onlooker. In the law, the final result is that which appeals to judicial common sense or the ultimate arbiter." The Moroccan Court of Appeal recently handed down a decision in Richards’ favour to overturn the neighbours’ appeal to demolish the riad. 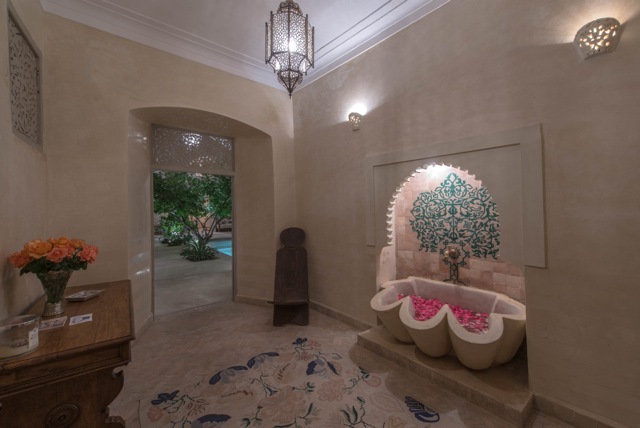 The project completed and the legal proceedings overcome, Richards can now focus on developing the business side of the Riad Emberiza Sahari. “I do hope in time to return to the Bar having trained up a strong management team who can run the affairs of the riad in my absence. I intend to return on a six monthly basis or so,” she says.